I am currently using it mostly for playing music that is stored over 2 pcs on my network out to the lounge room stereo, playing DVDs to aviod the need for a DVD player and playing videos stored on my PC, to save burning some stuff to disc. There is just one thing that I havn't got in it, but should have in the next few weeks is a Tuner Card so I can watch/record TV and avoid needing anything other than a PC and a TV. Lastly, I have really utilized the More Programs add-ons, which enables me to install MC supported apps such as Solitaire and Nero which are usable with the remote. All in all, I couldn't have found any better way to use an old PC, and the only money I spent was AU$55 for the remote/reciever which comes with 2 extra sensors to plug in the back for more coverage (which really isn't needed with the great reciever!) and the money for the software (cough cough). I will be sure to eomment when I have the tuner card installed and will review the quality etc when I do. Feel free to comment on this review! Does anyone have Media Edition in a dual boot w/Vista ? Not that it matters, but I was just wondering. Anyways Yeah, Media can be ran on old machines as long as you have it configured right. Cool, just wondering cause when I do upgrade I want it in a dual boot configure..thanx. I've got MCE 2005, it's great. I love the Media Center Extender functionality with my Xbox 360 - I download TV shows and movies, then stream them to my 360 to watch them on TV. Heres a 2nd confirmation of this, i had that setup not long ago, no problems. The media center in Vista Home Premium is nice too. To be completely honest, I don't see a big enough difference to switch to Vista. Sure there are some new features, but I think they could have had more is all I am saying. I'm still using XP Professional on my computer. 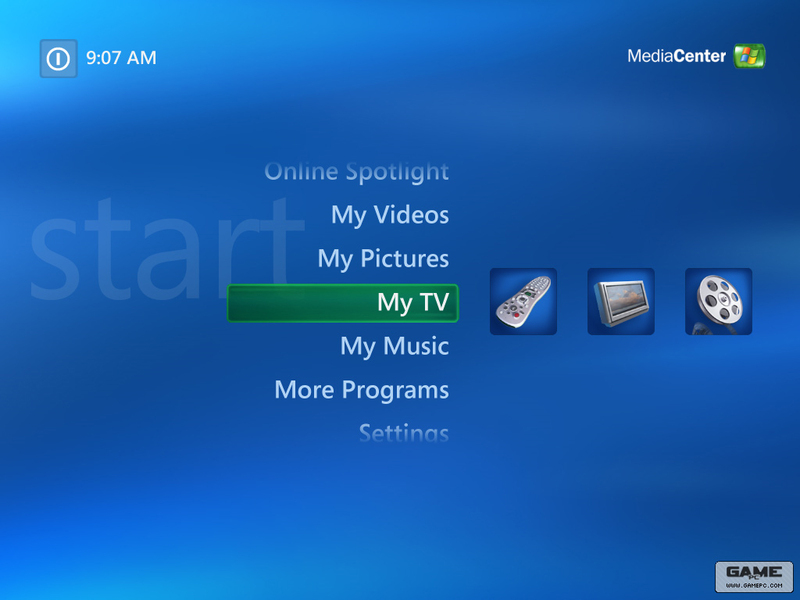 I haven't tried Media Center yet.